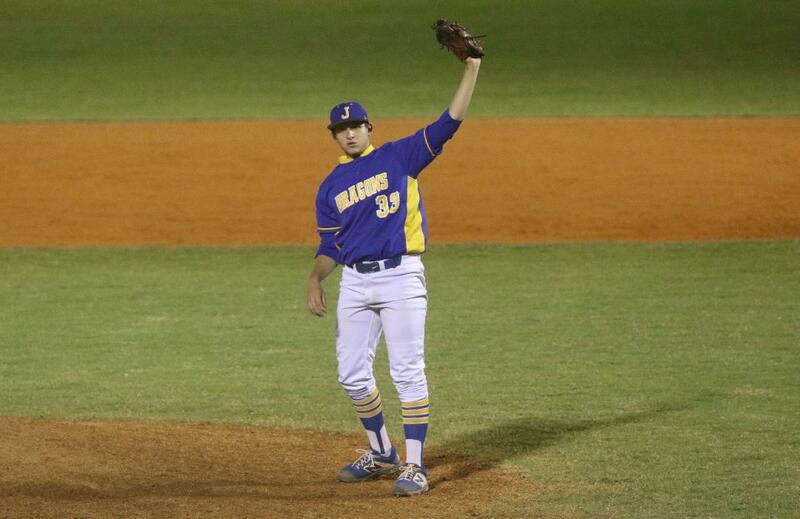 Jefferson's Nick Perez was superb on the mound in relief as the Dragons won a four-hour battle with Sickles. 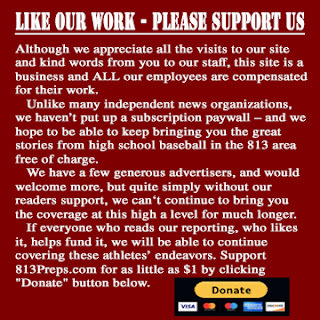 TAMPA – A pair of 2018 All-813Preps first teamers took the ball in game two of pool play of the 39th Annual Saladino Tournament on Monday night at Jefferson High. Jefferson’s Mike Dominguez and Sickles’ Dylan Eskew’s starts were just the beginning of what turned out to be a four-hour long affair, that ended after 12 innings in a 3-1 victory for the Dragons. With Major League scouts littered behind home plate, both Eskew and Dominguez battled for four innings before Eskew reached his pitch count. 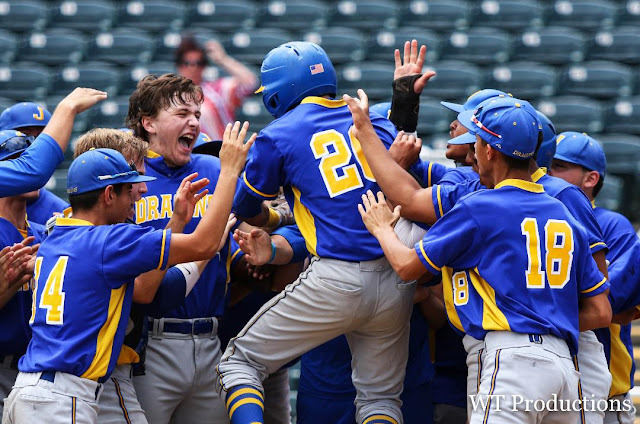 He allowed his first run of the year – albeit unearned – in the fourth when Trey Bacon sailed a throw over Chase Centala’s head, which allowed Jefferson shortstop Oscar Galvez to score from second. Sickles tied the game in the fifth when Kohl Robertson stole home after a failed pickoff attempt. The stalemate continued. Dominguez pitched five complete innings with seven strikeouts. The Florida State commit touched 95 mph on his fastball several times on Monday night. Nick Perez came in and locked things down, throwing a seven-inning relief outing with a pair of strikeouts. The senior picked up his first win on the season and allowed three hits and four walks. Jefferson got the go-ahead runs in the 12th, as the rain fell hard at Rene Martinez Field. Miguel Denson came through with a pinch-hit two-run single into left to score Sebastian Lopez and Yaidel Perez. The sophomore went 6-for-10 with four RBI in a bench role in 2018 for the Dragons, and Fontela was able to use Denson in a clutch situation in extra innings. The Dragons shook off an 0-6 start to win their first two games of the Saladino Tournament. They look to sweep pool play with a win against Durant at 7 p.m. If Jefferson wins it, it will be the first time since 2014 – legendary coach “Pop” Cuesta’s final season - that it advances to the Saladino knockout round. - Will Turner is a student at the University of South Florida pursuing a double major in mass communications and history. He is the owner of WTurnerProductions.com, a high school sports website covering the entire Tampa Bay Area. Follow Will on Twitter at @TBTurner813 and @WTProTampa.